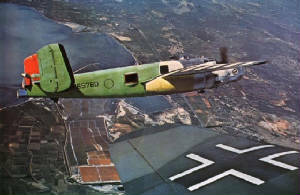 The above shot was supplied by Del de la haye who worked on the Battle of Britain film for 2 years..and flew in this B-25 with Jeff and Duane Egli a number of times. The above shot was taken in New Jersey in 1975. 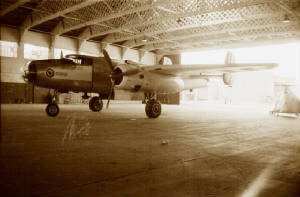 This B-25 was used as the cameraship for the filming of the Battle of Britain in England in 1968. At that point, it was owned by Euramericair, a company operated by Jeff Hawke. 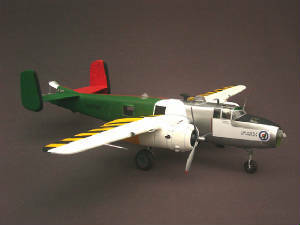 Hawke also flew the airplane for the filming. 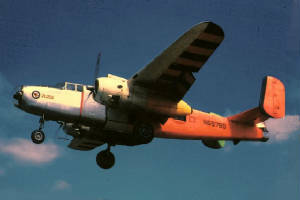 After the filming was completed, a series of legal problems followed the airplane, not uncommon for Hawke and his airplanes. 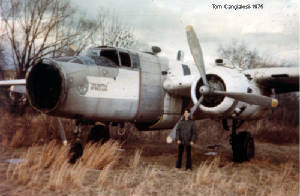 It was derelict at Caldwell, New Jersey, when this photo was taken. 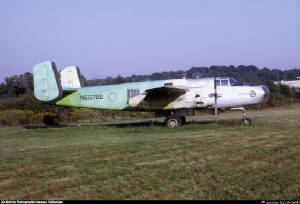 It went to Tom Reilly in 1977 and was returned to airworthy condition and operated as Chapter IX. It was later sold, and is now going derelict again, this time at Franklin, Virginia. 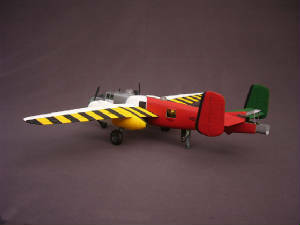 The below model was built by Terry D. Moore. 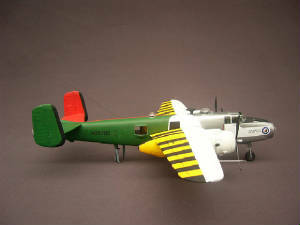 Its an incredible example of the aircraft, with amazing detail. 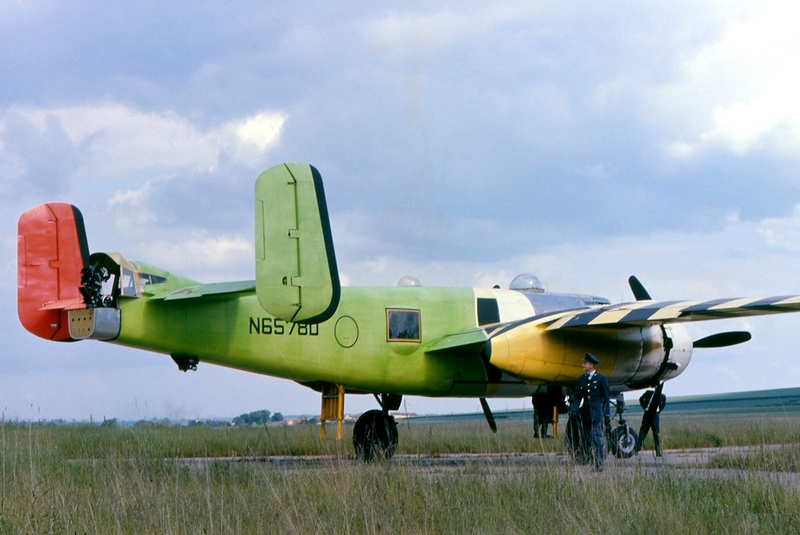 Delivered to USAAF as 44-31508, 19??. 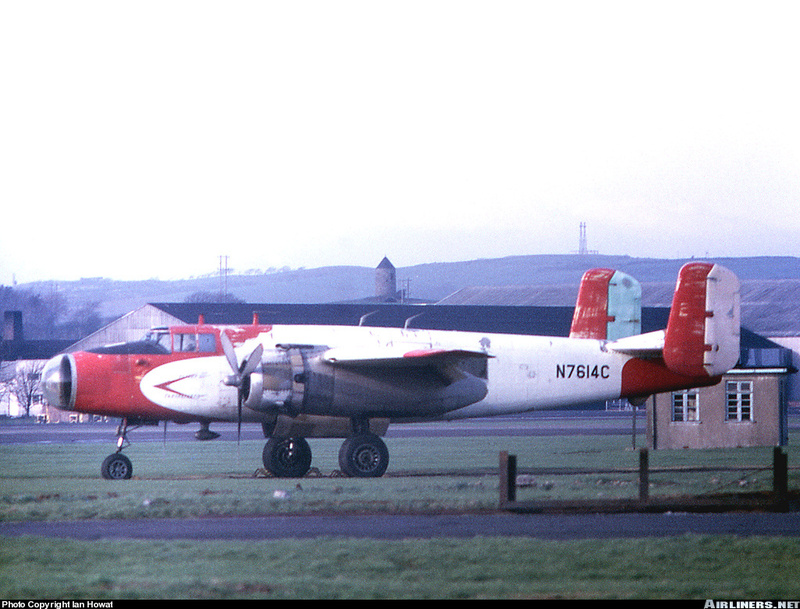 - Up for disposal at Olmstead AFB, PA, Jan. 1960. 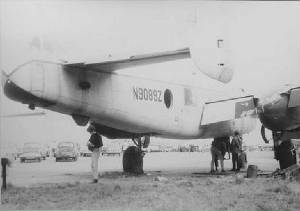 Nathanial A. Kalt/Stinson Field Aircraft, San Antonio, TX, Jan. 1960. William P. Strube, Marietta, GA, Jan. 1960-1961. Trans Calypso Inc, Miami, FL, Oct 1961-1965. Leon H. Patin, Miami, FL, May 1965-1967. 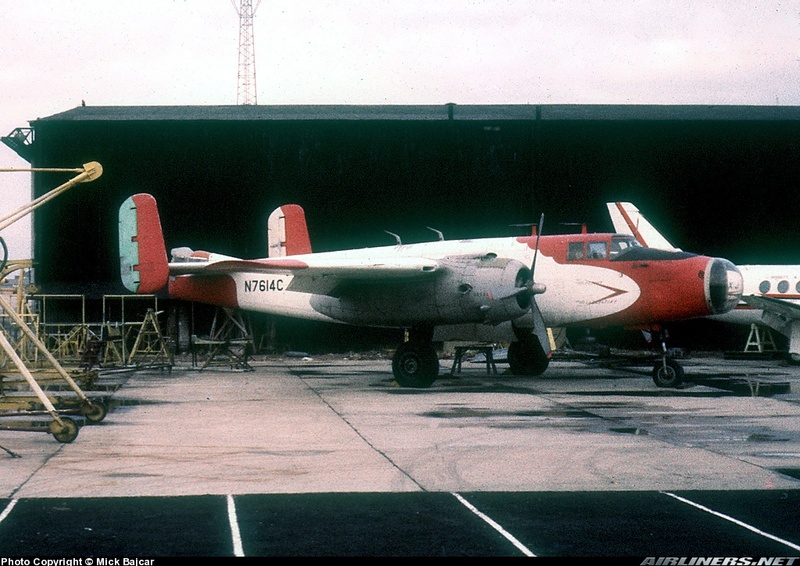 John Hawke/Euramericair Inc/Airspeed International Inc., Ft. Lauderdale, FL, June 1967-1975. - Modified for use as camera ship, Nov. 1967. - Delivered to Bovington, UK, Dec. 15, 1967. - Used as camera ship for Battle Of Britain movie, Spain & UK, 1967-1968. - Returned to USA, Jan. 10, 1969. Reported as derelict Caldwell-Wright Field, NJ, 1969-1977. Ten Plus One Inc, Mar. 1975-1977. Tom Reilly, Kissimmee, FL, Apr. 1977-1979. 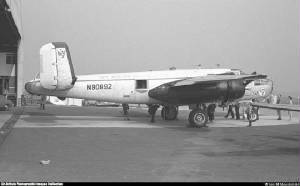 - Ferried from Caldwell to FL for rebuild, Feb. 3, 1979. 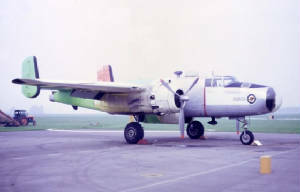 - Restoration to airworthy started in Caldwell, finished in Kissimee, 1979-1981. 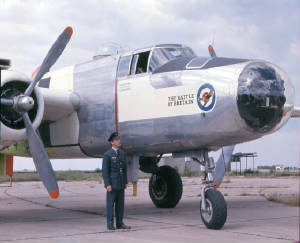 - Flew as 431508/Chapter XI. 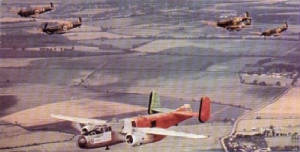 B-25 Bomber Group Inc, Ocalla, FL, Feb. 1979-1994. Dan Powell, Fair Oaks Ranch, Boerne, TX, Aug. 1994-1999. - Flew as Lucky Lady. 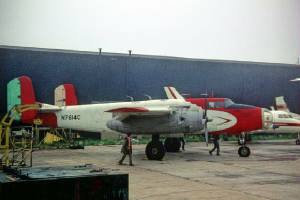 Rio Grande Aviation, McAllen, TX, June 16, 1999-2002. - WFU, poor condition, Franklin, VA, 1998-2006. 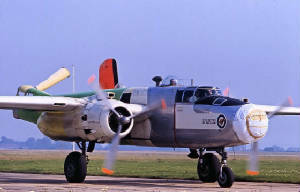 Delivered to USAAF as 44-31171, 19??. 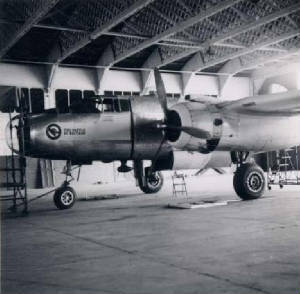 - Stored at Davis Monthan AFB, AZ, Oct. 1957. Radio Corporation of America, New York, NY, 1958-1964. 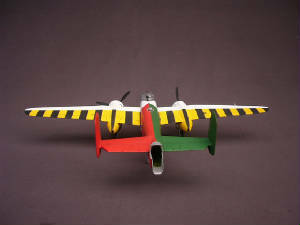 - Flying test laboratory, fitted with modified nose. Flying W Productions, Medford, OR, 1966-1969. John Hawke/Euramericar Inc, Fort Lauderdale, 1970-1976. - Based at Luton, UK, Apr. 1970. - Used for films, fitted with camera nose. 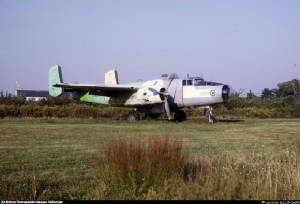 IWM/American Air Museum, Duxford, England, Oct. 1976-2002. - Delivered by road, Oct. 1976. - Restored for static display, Duxford. 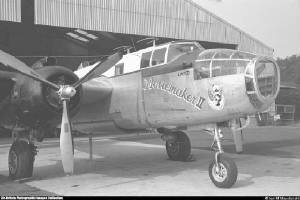 -- Fitted with B-25J nose. 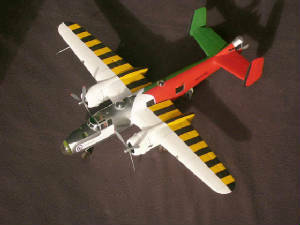 - Displayed as USMC PBJ-1, 1996-2002. 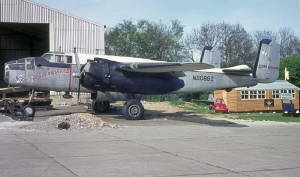 Delivered to USAAF as 44-30861, 19??. 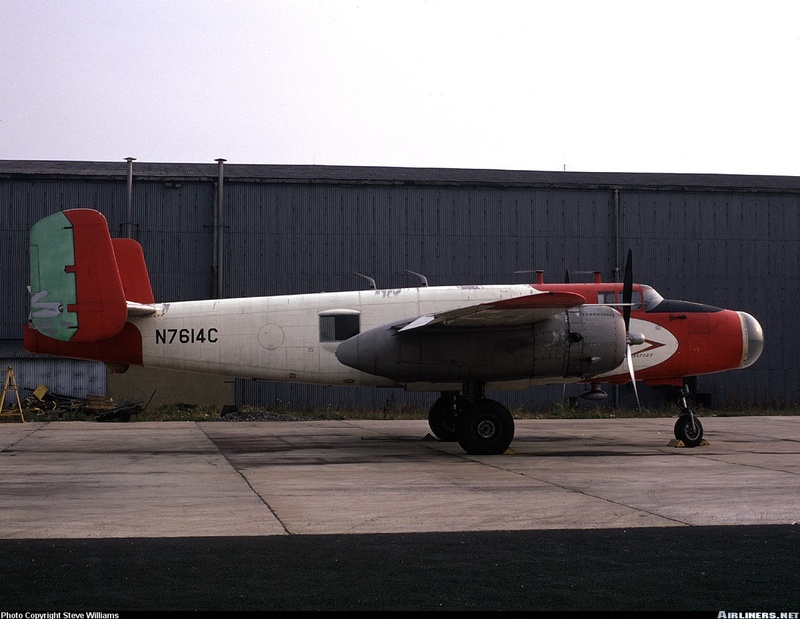 - Stored at Davis Monthan AFB, AZ, Dec. 1958-1959. American Compressed Steel Corp/Aero American Corp, Cincinatti, OH, Dec. 1959-1963. 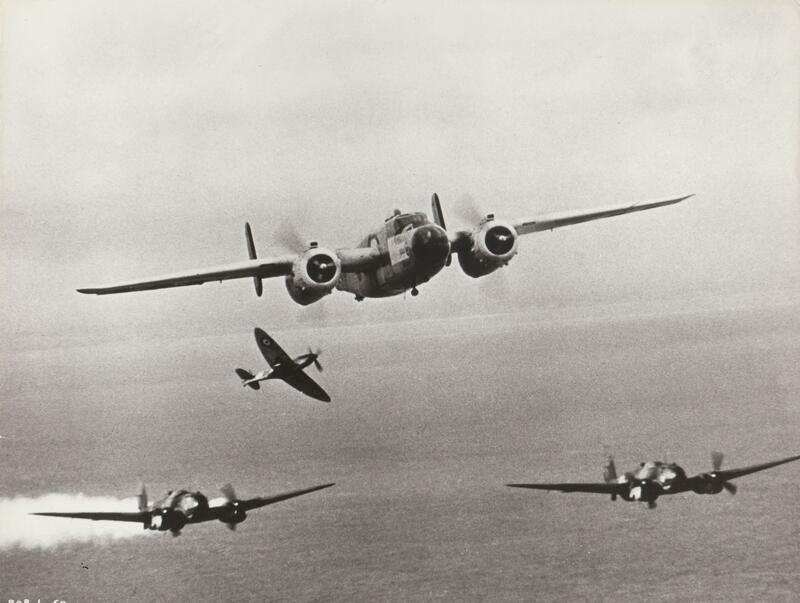 - Delivered to UK for movies The War Lover & 633 Squadron. 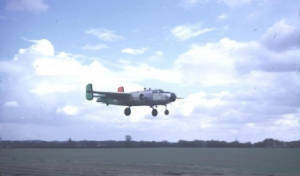 -- Flew as "RAF/N908/MOVIEMAKER II". 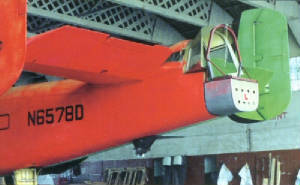 Hamilton Aircraft Co, Tucson, AZ, July 1963. Aero Associates Inc, Tucson, AZ, July 1963-1969. 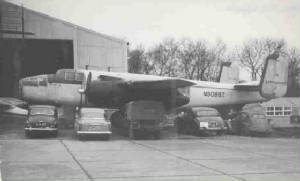 - WFU, open storage, Biggin Hill, UK, 1964-1966. Malcolm D.N. 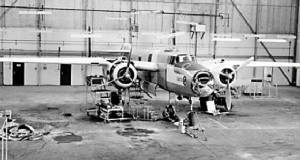 Fisher/Historical Aircraft Preservation Society, Biggin Hill, 1966-1967. 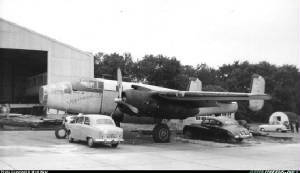 British Historic Aircraft Museum, Southend, July 1967-1983. - Arrived by road, July 19, 1967. John Hawke/Visionair International, London, May 10, 1983. 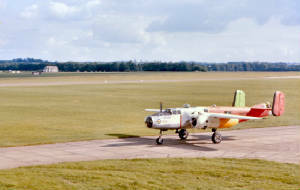 Aces High Ltd, Duxford, 1984-1987. 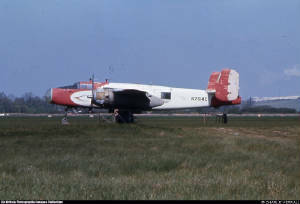 Aces High Ltd, North Weald, Oct. 1987-1989. 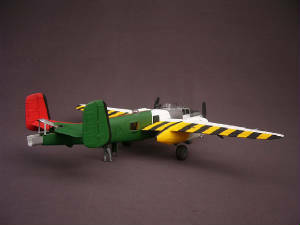 - Static display as 430861/Bedsheet Bomber. 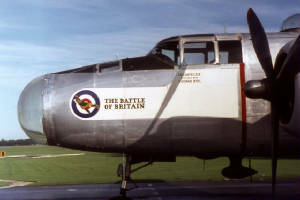 The Fighter Collection, Duxford, 1989-2003. 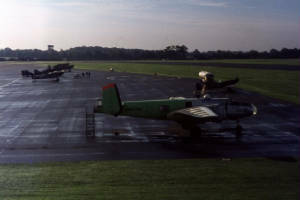 - Stored, North Weald, 1989-2002. - Used as parts source.